EDI stories are typically told in multiple ways. Often, participants create a single image that includes visual transformations reflecting parts of their lives. One portion of the image might represent the beginning of their journey, while another part could represent the end. 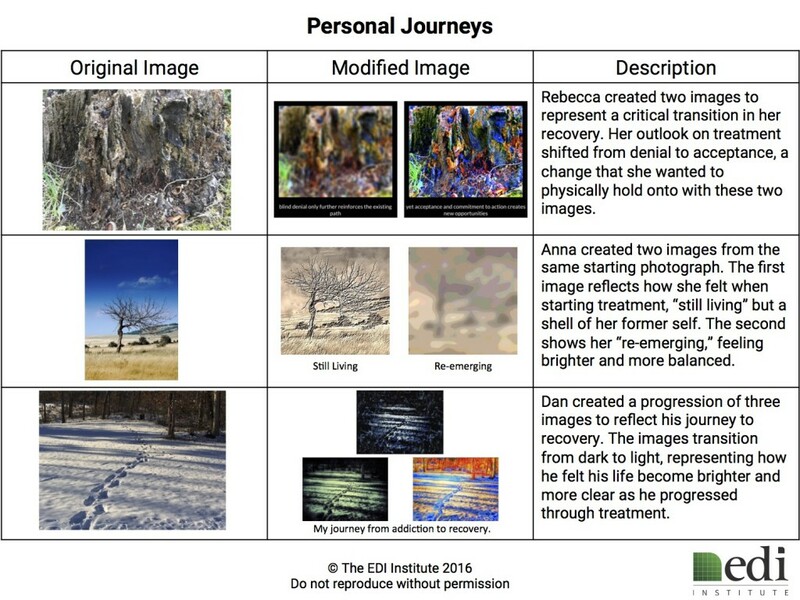 Similarly, participants sometimes create multiple images to show a progression. These images are shared in sequence to tell a story. 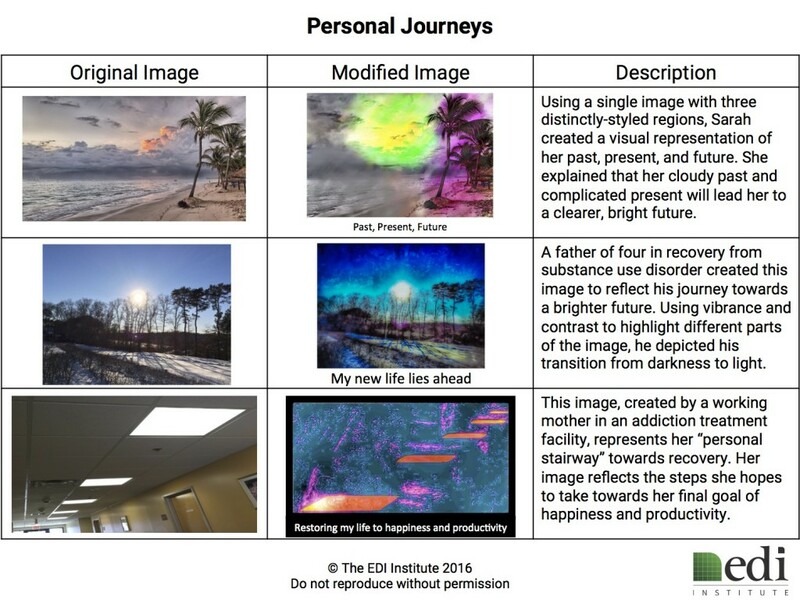 Below are several examples of personal stories told through EDI.